It’s been a while since I’ve done much paddling. It’s not that I don’t love it anymore, it’s just that more and more alternative activities have crept into my life. Much of this has centred around my two daughters and the extensive range of activities they undertake. Basketball, soccer, swimming, gymnastics, surfing…. all require mum and dad taxi services as well as considerable involvement. 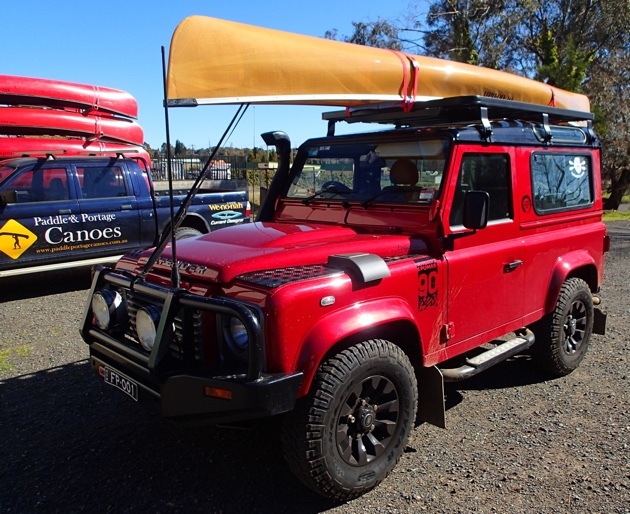 We’ve also added in a fair amount of camping and 4wding on the weekends, having explored much of the east coast of Australia in our trusty Land Rover. And then on top of all that, there’s my new sport of powerlifting which I’ve taken on quite seriously and train for over many hours each week. 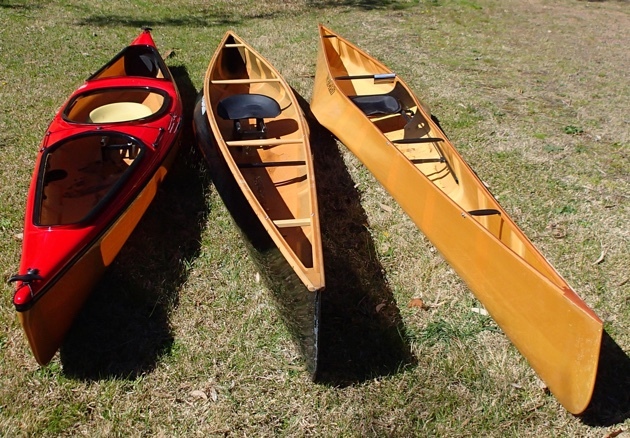 Despite all this, I still long to get out onto the water, and with the 40th anniversary of the Hawkesbury Canoe Classic coming up I thought it might be time to get back into a suitable craft. When I thought about the five previous Classics I’ve paddled in and the various different boats I’ve used, I knew I’d want to choose a canoe for this next race. And the best person I know for canoe advice is Travis from Paddle and Portage Canoes. I explained to Travis that I was thinking of paddling the Classic solo in a canoe and asked if he have any suitable that he might be able to lend me. 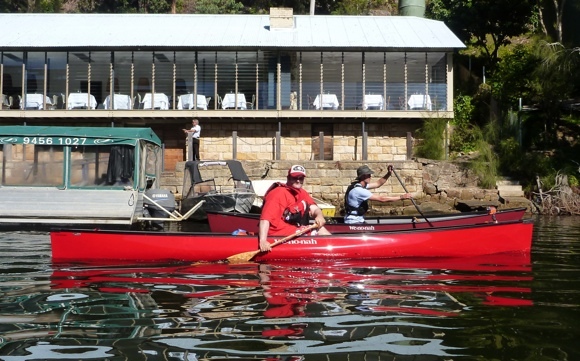 As it turns out he has a range of solo canoes so suggested we get together down his way in the NSW Southern Highlands to try a few out. 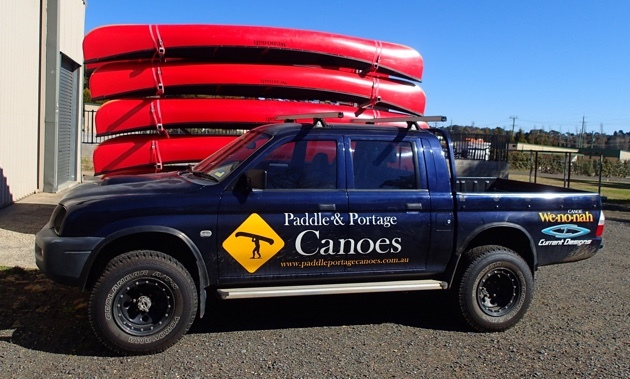 With Miss10 in tow, we made our way down to Paddle & Portage HQ. 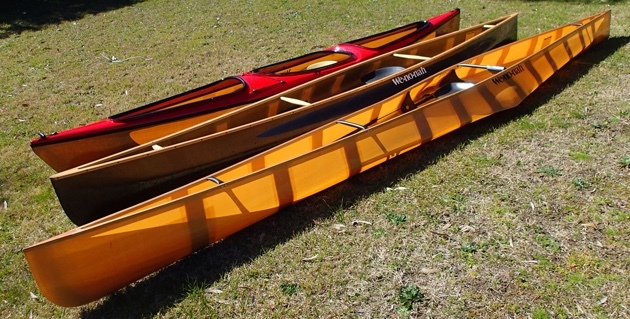 Wenonah sell a range of solo canoes so Travis had a few different ones to choose from. 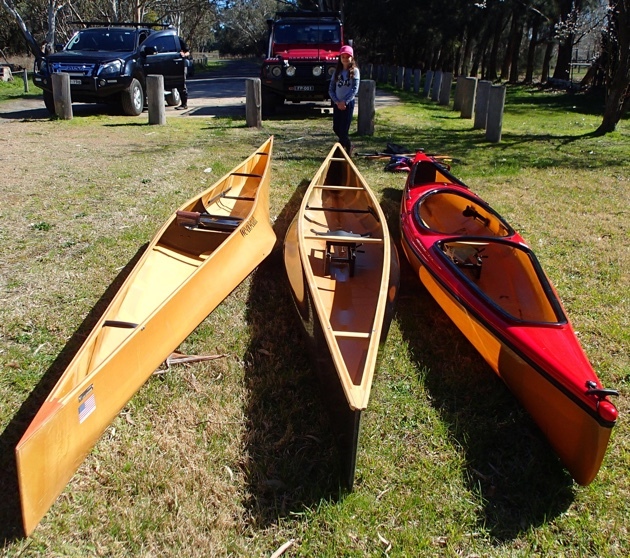 For the session he pulled out a Wenonah Canak (a 16′ touring decked canoe/kayak hybrid), a Wenonah Advantage (a 16’6″ intermediate racer) and a Wenonah J203 (an 18’6″ rocketship of a racer!). I must admit I didn’t like my chances on the incredibly narrow J203 with its strange outrigger wings, but I did like the look of the Advantage and had read a lot about its speed and straight tracking. 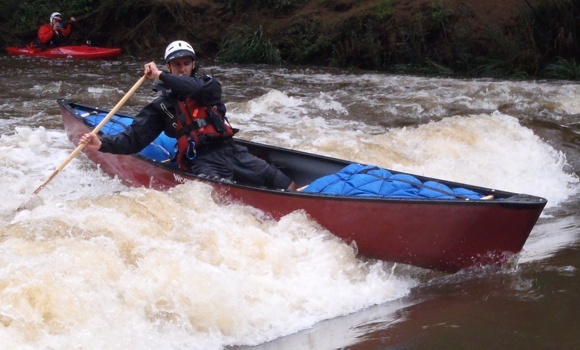 Once at the water I was more concerned with watching my daughter head out solo in a canoe for the first time. She tried the Canak first and after some instruction from Travis and ten minutes of fumbling around, started to get the hang of it all. She also got to use the custom paddle I’d brought back from Badger Paddles in Canada some years before, which turned out to be the perfect size for her solo efforts. I jumped excitedly into the Wenonah Advantage and gave it a good burn around the lake. I loved the glide and straight tracking nature of it, but just couldn’t quite get comfortable from a stability point of view. 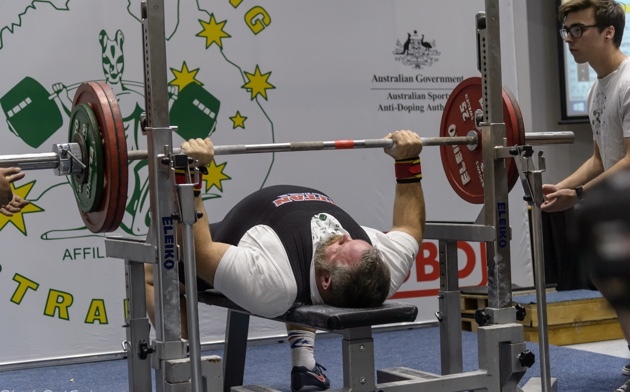 Admittedly the powerlifting hasn’t exactly made me any smaller, so at 135kg and with a fairly high centre of gravity, it was no surprise that it was feeling a bit shaky. And then disaster struck as I somehow managed to throw myself out of the Advantage and into the ridiculously frigid waters of Travis’ local lake. With an embarrassing swim to shore and a change into warmer clothes, it was time to try the Canak to see how it would fare under my heavy arse. My daughter took the opportunity to try out the Advantage and despite my nervousness, had no problem at all paddling and manoeuvring it. In fact she looked a damn sight better in it than I did, and far more stable as well. I also immediately fell in love with the hull glide of the Canak, its efficiency and stability standing out and making it an absolute pleasure to paddle. We spent the next hour or so exploring the waterway together in our respective canoes before packing up and calling it a day. 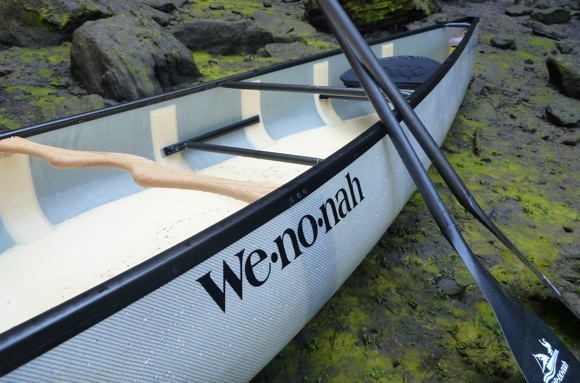 I didn’t try out the Wenonah J203 but considering the fact I’d gone overboard from the Advantage already , I figured it was probably best to keep my bulk out of the fastest of the three canoes. The Canak felt great and after a discussion with Travis on the pros and cons of each of the solos in his range, decided to borrow a Wenonah Prism for the race instead (the Canak hull is based on the open canoe styled Prism).